$549.99 Seen a lower price? 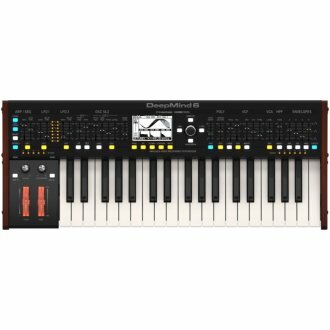 The Behringer DeepMind 6 is a true Analog 6-Voice Polyphonic Synthesizer with 4 FX Engines. This model also features 2-OSCs and LFOs per Voice, 3-ADSR Generators, 8-Channel Modulation Matrix, a 32-Step Control Sequencer and a Tablet Remote Control.